A sequel to "The Carpetbaggers", "The Raiders" pits Jonas Cord's illegitimate son, Bat, against his father, as Jonas moves his billion-dollar enterprises into Las Vegas and takes on the Mob. 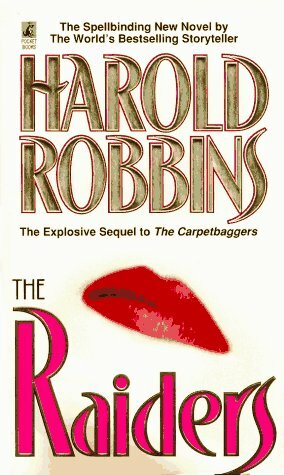 Born in 1916 in New York City, Harold Robbins was a millionaire by the time he was twenty. He lost his fortune before the outbreak of WWII, but his successful career as a novelist would once again make him incredibly wealthy. His novels often mirrored his own experiences, and were peopled by the many characters he met. He died in 1997.